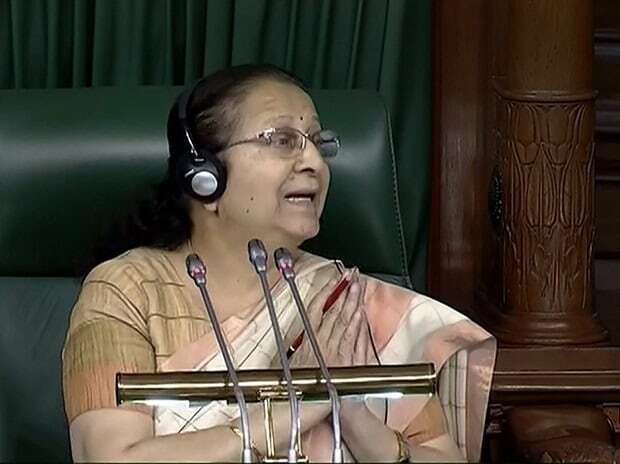 Lok Sabha Speaker Sumitra Mahajan on Friday announced she would not contest the Lok Sabha election starting next week. The eight-time Member of Parliament from Indore spoke out against the Bharatiya Janata Party (BJP) in a letter. Mahajan, known as "Tai" to the people of Indore, wrote, "The BJP has not declared its candidate for the Indore seat till now. Why is this situation of uncertainty? The party may be hesitant to take a decision. I had, however, spoken to seniors in the party in this context quite early on and left the decision on them. It seems they still have some hesitancy regarding the candidate for the seat. This is the reason I'm making this declaration now that I will not contest the Lok Sabha polls. I leave the party free to make a decision on the seat." She also thanked the people of Indore for supporting her. Mahajan is the latest to join the list of BJP leaders over 75 years of age who have been asked not to contest elections. L K Advani, Kalraj Mishra, Murli Manohar Joshi and Shanta Kumar are among others. Joshi had also written an open letter to the Kanpur voters, saying he had been asked not contest the election. Political analyst Girija Shankar terms the letter a "revolt". "Angst is a small word. The language of the letter indicates that Mahajan is certainly not happy with the party leadership." He also said Mahajan's move will not affect the chances of the BJP in the saffron bastion as any individual cannot survive without the umbrella of the party. BJP spokesperson Rajnish Agarwal said, "She is a senior leader. She had to make an announcement regarding her plans and she chose to write a letter. We respect this. The party is completely fine with it."